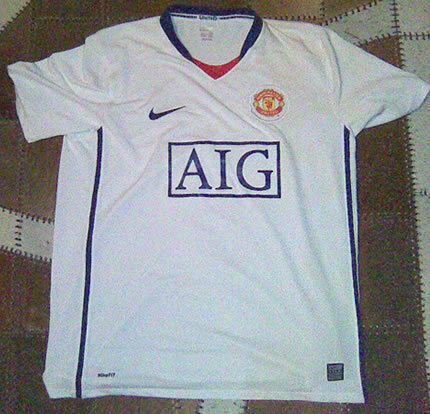 *Maybe* Nike Man Utd 08/09 Away कमीज, शर्ट. This is only a picture of a kit floating around the net posing as an away kit. If final design, we'll see. The colours involved are red, white, and blue... THANK आप GLAZERS!. Wallpaper and background images in the Manchester United club tagged: man utd man utd kit away white.